Often called a “partial,” this type of denture is often used when only some of the teeth are missing. A partial denture is a removable appliance held in place by gripping the remaining healthy teeth, usually with metal clasps or wires. It is an economical solution that allows all missing teeth in the same arch (either the upper or the lower) to be replaced with one appliance. A partial denture is inherently much more stable and therefore more comfortable than a complete denture. 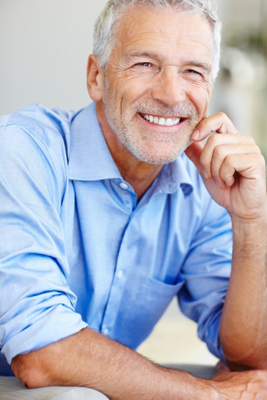 There are many factors that help us to determine if you are a candidate for tooth replacement with a partial denture. Among these factors, the health of the gums and the shape of the anchor teeth are most important.